We will send the link to your first lesson shortly. To give us permission to email you, please check your inbox for a confirmation email by us. When you click on the confirmation link, you will be taken automatically to the first lesson. If you don't see the email in your inbox, please be sure to check your spam folder and whitelist our email. The email sender will be "The Summit Lighthouse" and the email subject "Please Give Us Permission to Send Your Sanat Kumara Lessons..."
If for any reason, you don't get the confirmation link, contact us right away and we'll take care of the situation. 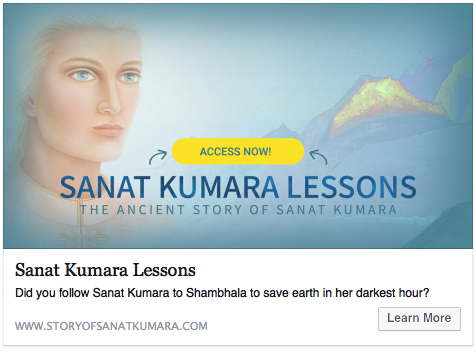 Bring the ancient story of Sanat Kumara to your friends!